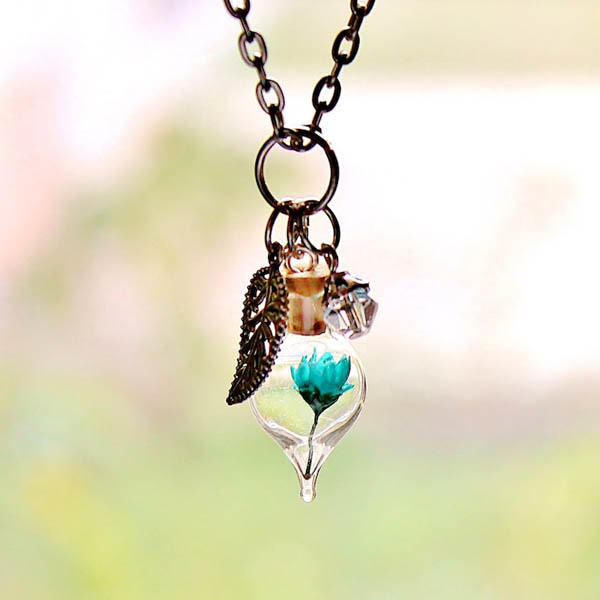 These days, there are more and more nature inspired designs showing up, especially in jewellery industry. 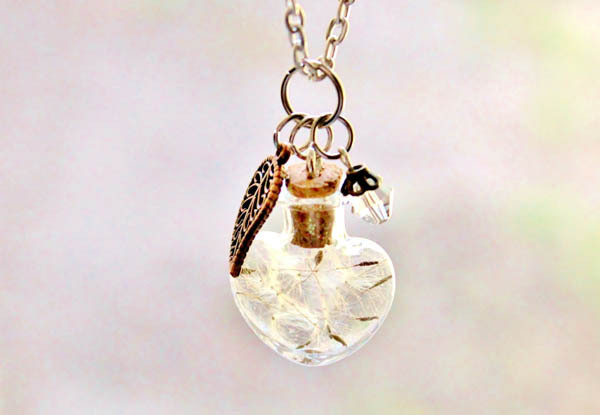 Wearing a little part of nature is so cool for some nature lovers. 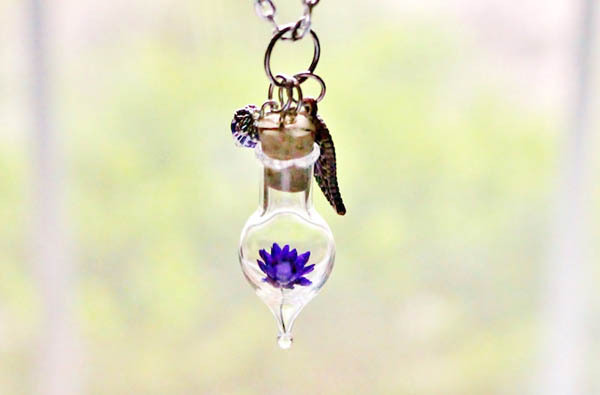 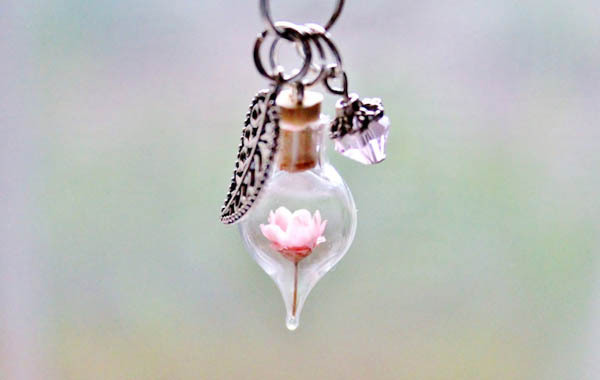 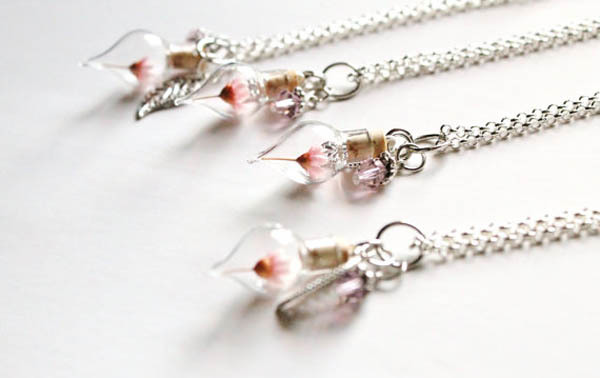 Hence, owner from Etsy shop Teeny Tiny Planet preserves real, dried flowers in elegant, mini glass bottles and attach them to antique charms and luminous crystals. 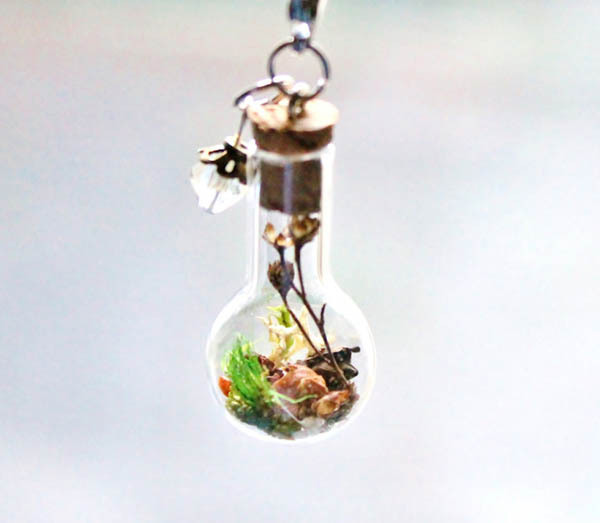 These truly enchanting, one-of-a-kind terrarium necklace helps to reminds us of the beautiful Mother Nature and encourage we go out of the four-walled room.